Virtualization is meant to ease the life of a system administrator, physical and hardware infrastructure that created a lot of bottlenecks have been eliminated over the years. However, the growth in a number of virtual footprints in the VMware environment and increasing complexity require administrators to craft efficient ways of managing everyday repetitive tasks. VMware Automation Tools come in handy as they enhance the performance of a virtual environment and assist IT administrators to accelerate an end to end routine tasks with a minimal amount of time i.e. taking snapshots. Why use VMware Automation tools? Administrative tasks can be too detailed and seasoned to an extent of challenging an administrators skills, hence the need to use an automation tool as it is consistent and efficient. The administrator focus, therefore, shifts to managing a single automated task, this indeed is a process improvement that ensures compliance and best practices hence providing value to the business. Manual processes are automated by these tools. This, in turn, reduces the turnaround time when managing a VMware Environment. The tools aid alignment of business needs with IT not only by using fewer resources to perform multiple tasks but also saves time, besides it reduces human error in the VMware environment as it is consistent. With minimal efforts, an administrator can easily maintain their environment. This tool was formerly known as vCloud Automation Centre; it is a part of VMware’s vRealize Suite for Hybrid cloud management products. 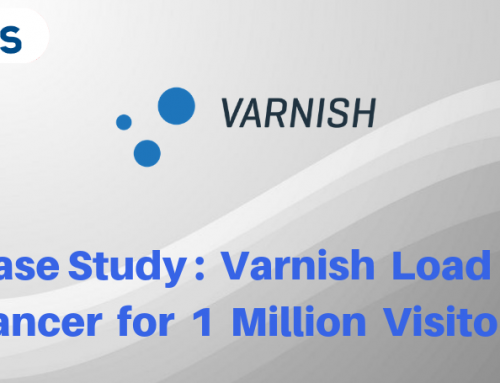 It makes rapid deployment possible across multiple hypervisors and public clouds. vRealize Automation Infrastructure as a Service (IaaS): Installation files are stored in the vRealize automaton appliance and must installed on a windows machine. The window machine must be able to communicate with physical hosts, hypervisors. It is responsible for provisioning Iaas resources. Authentication Services: Forms part of the vRealize Automation appliance. vRealize Orchestrator: Serves as VMware’s central tool of automation in the data center. vRealize Business Std Edition: Where cost remains a pan for any CO, vRealize Business helps you to calculate the total costs of your data center. Deploy as a stand-alone appliance. vRealize Code Stream: It is hosted in vRealize Automaton appliance from 6.2 versions onwards. It is an automation tool that helps development teams build a release pipeline and provision applications to production. However, it is a separate product and is licensed separately. It is highly extensible and aids management of personalized IT infrastructure, business development, comprehensive services, workflow, and reporting. VRA enables administrators to define available services and avails them to users freeing them from manual allocation. 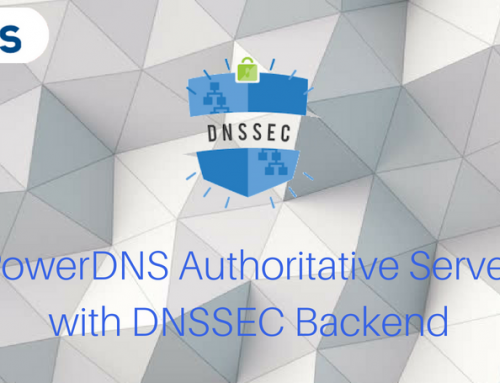 It is used to automate firewall rules, schedules, storage, and backups. It is used for cloud automation and is part of the policy based tools that can be used to handle nearly any processes in the VMware Environment. 3. Actions – They are part of a code that takes zero input parameters and passes back zero or actions are analogous to functions in programming. They are snippets of code that make zero or more input parameters and pass back zero or more return values. 4. Other Workflows – workflows are the highest level of object usable and can consist of nested workflows, actions, scripts which makes the system flexible. Built into vRA and used as PaaS purpose. VMware vRealize Orchestrator(vRO) comes with different plug-ins that have pre-built actions and workflows used on their own or as part custom workflows hence saving developers much time. Time. vRealize Business Enterprise provides the business management capabilities necessary to manage IT operations of today’s emerging hybrid cloud environments, enabling customers to reduce operating expenses and improve service delivery performance. Embedded in vRealize Business Enterprise is VMware vRealize Business for the cloud that provides costing and usage metrics for both private and public cloud.It can automatically price services for inclusion in service catalog and compare this with services of other public cloud entities. One of the core tenets of IT business management is minimal cost while maximizing business value.vRealize Business Enterprise delivers portfolio management of services provided and provides dashboards and bills indicating the line of business product and services consumed alongside the cost. VMware vRealize Business Enterprise can tracks, report, and analyze IT performance and value measures for all services and vendors which enables proactive contractual management. Traditional operations management do not meet the requirements of today’s infrastructure.It cannot aggregate, correlate and analyze patterns across applications and infrastructure as a whole. VROps is built on a scale-out to deliver profound operational insights hassle-free that has seen continuous optimization, proactive and intelligent remediation helping customers to scale SDDC and multi-cloud environments. It has the capability of providing insights both application and infrastructure spanning across virtual, physical,vSphere to Hyper-V and also AWS services. Performance boost and availability of services with its integrated monitoring and predictive analytics. Improved efficiencies in capacity planning and utilization by intelligent workload balancing. With vROps, you can improve performance and become more efficient with comprehensive visibility across applications and infrastructure. It packages applications into Virtual appliances, in other words, used to manage and update virtual machines that are optimized and deploys in VMware platforms. It is free for use and controls an extensive build system that has simplified development of virtual applications and appliances. The software applications that can be transformed by VMware studio include those running in both Windows and Linux platforms. VMware Studio is an easy-to-use virtual appliance that helps you transform software applications running on Linux or Windows into virtual machines that you can deliver as quick-starting virtual appliances. 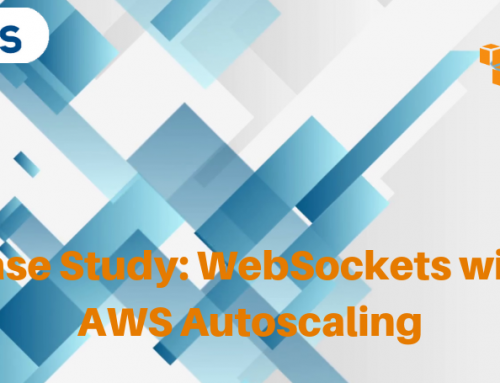 If the Saas application compatible with virtual appliance architecture, then a few clicks it converts it to a virtual appliance template that can be distributed. Developers are looking at turning earlier versions that are not configured for this compatibility to virtual appliances though it may take time and work. The converter facilitates the creation of VM’s and migration from physical machines to VMware platforms. The centralized console helps in monitoring the status of the conversion. Have you decided to virtualize your infrastructure and wondering where to begin? Look no further as vCenter Converter is a free tool offered by VMware to enable you to convert the physical machines to virtual machines without the hassle of creating the virtual machines and manually migrating the data that can painfully slow and sometimes not consistent. vCenter converter acts as a bridge between your physical machines and virtual machines.It decouples a physical device from its hardware limitation and turns it into a virtual disk file (VMDK) with all the advantages that come with it.The converted virtual machine can operate either in VMware server or bare-metal environments such as VMware ESXi, or a hosted environment like VMware workstation or VMware player. The vCenter converter can convert backup images, e.g., Acronis backup or other platforms like Microsoft VirtualPC into VMware readable formats. Virtualization is made easier and efficient. It is a one-stop shop for both administering and creating service support and collecting diagnostic reports that enables troubleshooting. It helps in monitoring the VMware environment for any issues and recommended fixes from VMware. It acts as the link between VMware support and the organization and any support tickets opened with VMWare. The VMware vCenter Support Assistant is used to collect diagnostic data on your vSphere environment. Issues discovered by the vCenter Support Assistant are reported as alarms to the vSphere Client.The proactive alert contains recommended actions and fixes. It sends proactive signals along with suggested fixes. The automatic transmission of support bundles to VMware technical support on a periodic basis, which is matched against know issues. Automation plugin used to administer and transfer resources across vsphere and vcloud in both private and public cloud environment. Provides the hybrid of private, public or a combination by bringing all applications, workloads, and templates by retaining the flexibility of moving the apps back to your on-prem data center. Its built-in compression and optimized path multi-part transfer make workload transfer between connected clouds more reliable than ever before. With one vSphere client, you can manage all the components from vApps, templates, VM’s distributed across the internal data center, private or public cloud. Backup and recovery of a virtual machine can be a daunting task. Veeam Backup and replication provides an efficient way to backup, restore and replicate data across multiple storage locations. 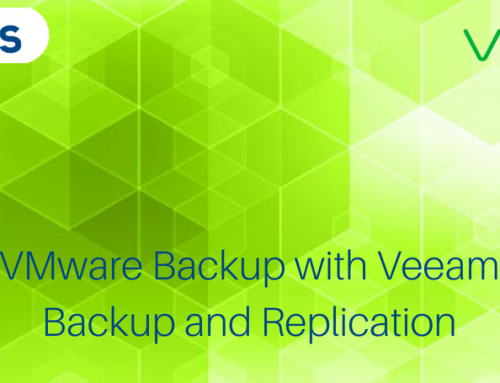 Veeam Backup and replication is no longer has moved from just a backup tool to an availability tool. It enables backup of virtual, cloud and physical server backups that make it a one-stop shop for all your backup needs. Instant file-level recovery provides individual file recovery effortless. Easily restore Microsoft exchange with Veeam Explorer for Microsoft Exchange. Instant VM recovery with a short time. Backup Exec provides a complete backup and restores protection for your business to cater for your infrastructure needs.It offers a unified and integrated backup solution for cloud, physical and virtual data protection. Seamlessly scale to the cloud with tested and certified cloud connectors. Backup Exec enjoys better integration with third-party software including VMware vSphere. It enhances compliance with applicable regulations like General Data Protection Regulation. End to end deduplication increases performance on-prem as well as save cost and network bandwidth when it comes to backup to the hybrid cloud. Subscription and licensing is comfortable and has the flexibility of what and how much to pay. It has the best Virtual machine snapshots. Automated recovery and DR testing are available within Backup Exec. Various editions are available that a customer can choose from depending on needs and budget availability. Time and effort invested in ensuring that human error is eliminated and the process is sustainable with use of automation tools. With automation comes maintenance of the routine automated tasks. There is need to carefully plan to ensure that taking care of the automatic functions is not more than doing the actual job. Find a balance in the tasks and scale them according to the size of the VMware environment. Automation requires time and effort, and some of the tools need resources that may not be available in your VMware environment. Documentation and preparation of standard operating procedures is a critical process to avoid any human error and ensure that monitoring and skills transfer of the automated tasks adequately done. Selecting the optimal tools and proper planning to automate VMware virtualized environments can provide an organization with efficient, error-free and effective turnaround time in carrying out some of the repetitive tasks, this gives the system administrators a chance to play more strategic roles. Human Error – Administrators need to be extra cautious when managing their environment using these tools, a slight misconfiguration of any kind of error in scripts often lead to mistakes. Good thing they can always roll back or either use a test environment for deployment before they can go into production. Cost – Automation of the tasks in VMware virtualization can cost an arm and a leg, in time and cost required in designing and testing the tools, the great question is, do time-saving and elimination of the human error outweigh the gains? 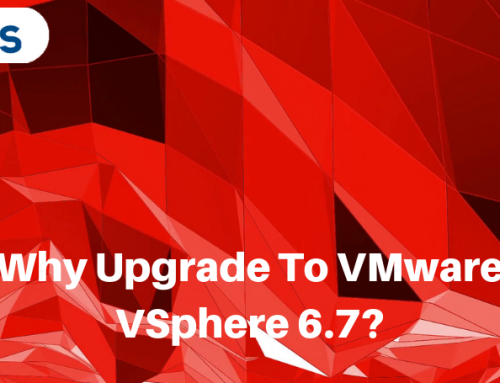 For example, does creating two Virtual machines in a week call for vRealize automation or will it better to create a template in vCenter to help in deployment? Working in a production environment implies continuous deployments, an IT Infrastructures of any sizes do benefit at large from automation as it is highly valuable. There is a wide range of automation capabilities that administrators can choose from as discussed in this article; they enable administrators to use simplified manageable standard and consistent deployment strategies. However there are quite some considerations to have in mind when choosing an automation tool, the model and capabilities of a device, your environment as some tools are written in different languages and only support particular setups, so ensuring your automation tool mesh well with your infrastructure and environment. Strike a balance of the investment in automation with the tasks to automate. Despite the appeal and ease that comes with automation, don’t rush to automate.